More on Neil Young Concert in Auckland, New Zealand, 1/16/09. It seems every single article recently just has to mention Neil's age like it's something bad. But this article from Australia has aged Neil FIVE whole years! Give the man a break already; he's one of MY generation, and I ain't old yet! Are you ever old as long as you can rock?! 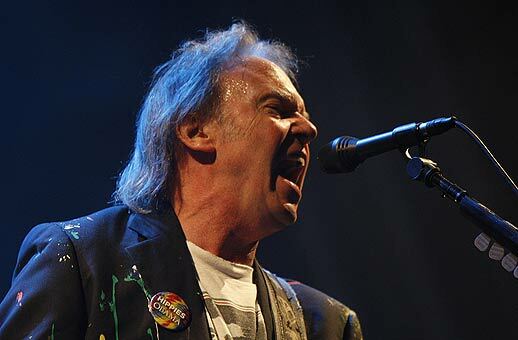 "The 68-year-old singer and guitarist unleashed an enthralling 90-minute set of some of his best-known songs during his headline appearance at the first Australian BDO of 2009 at Parklands in Southport." Wasn't Neil born in 44 or 45? Neil is 63. Good factchecking, Australian!